1 October 1942: Keel laid as BDE-26 by the Mare Island Navy Yard, Vallejo, Cal. 18 April 1947: Sold for scrapping to the National Metal & Steel Corp., Terminal Island, Los Angeles, Cal. 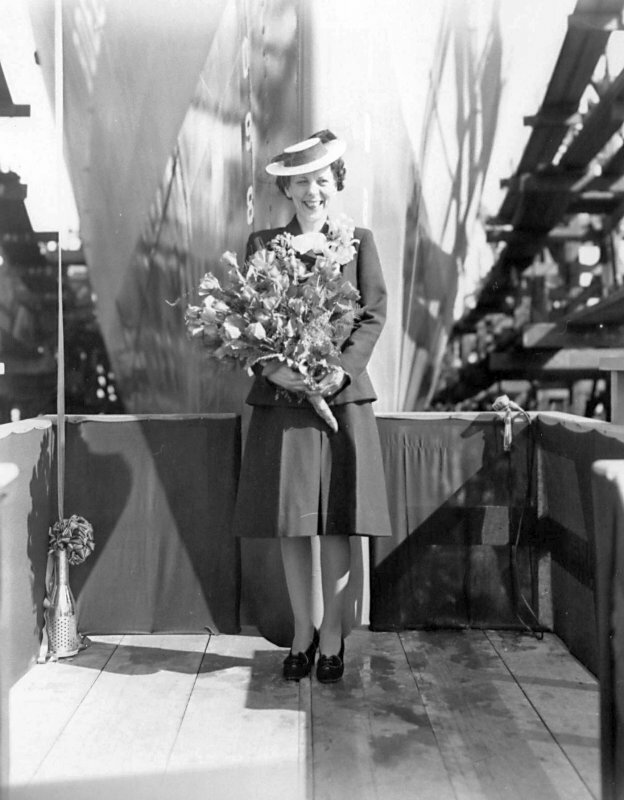 109k 19 February 1943: Mrs. G. E. Quillan, wife of Lt. Quillan, Ship Superintendent New Construction, and sponsor of the USS Dempsey (DE 26) is seen at the bow of the ship prior to her launching at Mare Island. 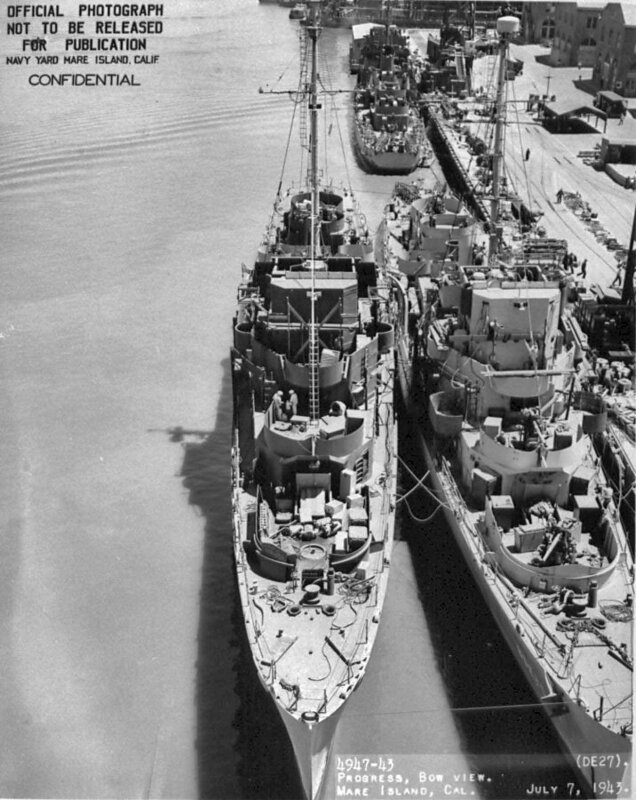 205k 07 July 1943: Stern view of the USS Dempsey (DE 26) (inboard) and USS Duffy (DE 27) (outboard) pictured at Mare Island Navy Yard outfitting pier. 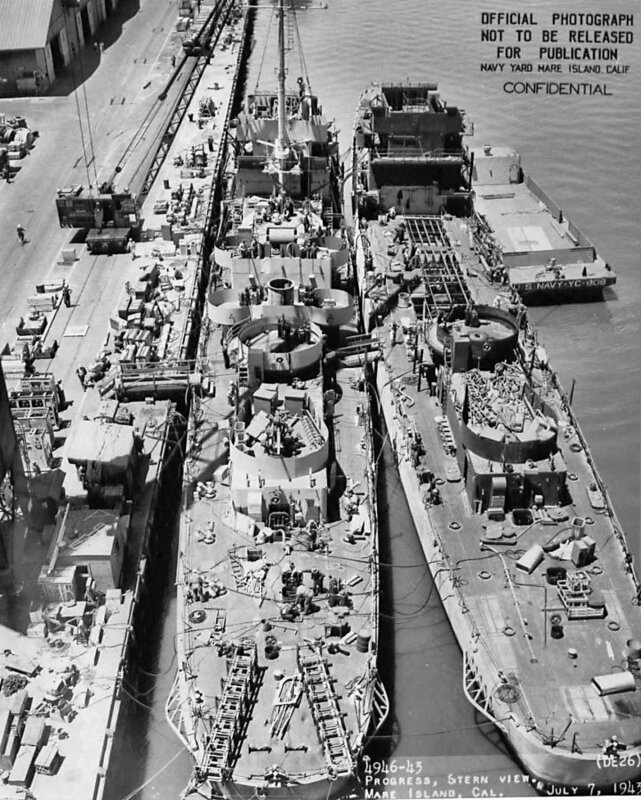 152k 07 July 1943: Bow view of the USS Dempsey (DE 26) (inboard) and USS Duffy (DE 27) (outboard) pictured at Mare Island Navy Yard outfitting pier. 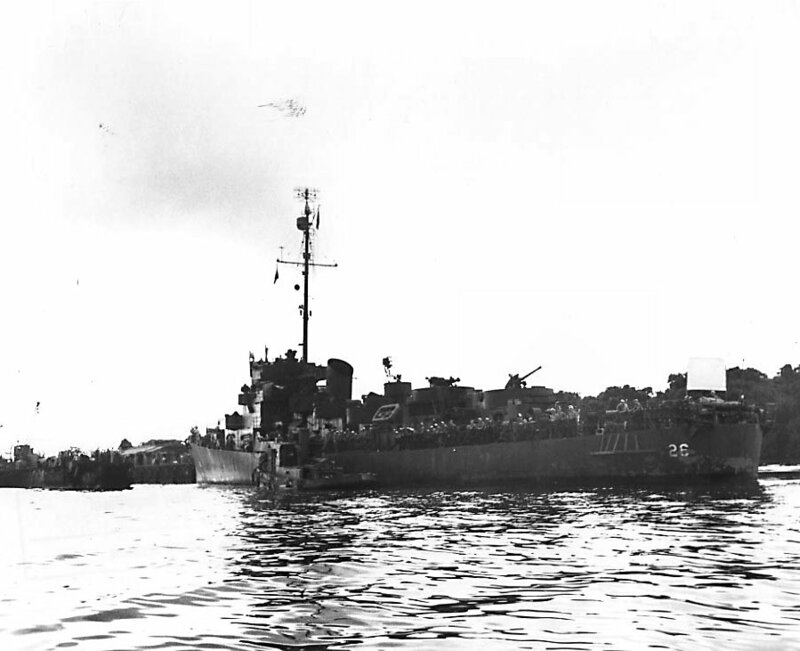 USS Wintle (DE 25) is aft of Dempsey and Duffy. 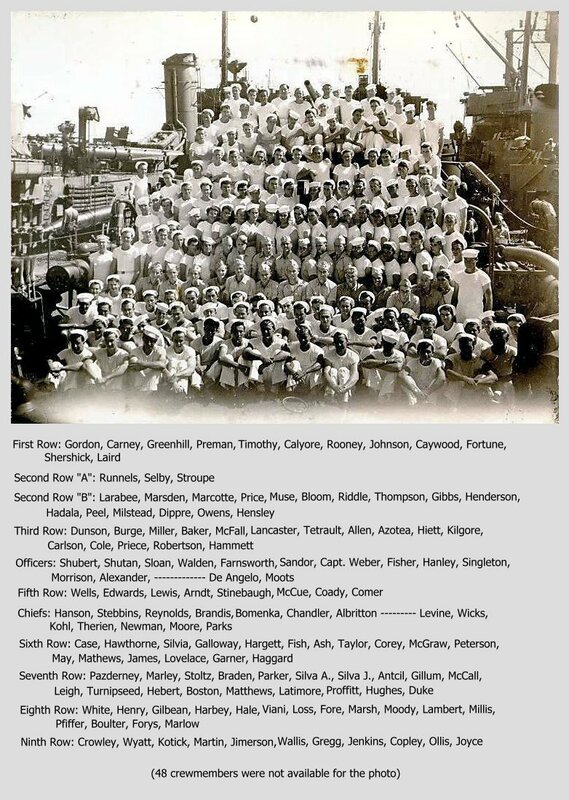 263k May 1944: Espiritu Santo, The New Hebrides - The crew of USS Dempsey pose for a photo while the ship was in port. 89k 10 May 1944: Espiritu Santo, The New Hebrides - Port bow view of USS Dempsey (DE 26) approaching USS ARD-10, at a Solomon Island area base. 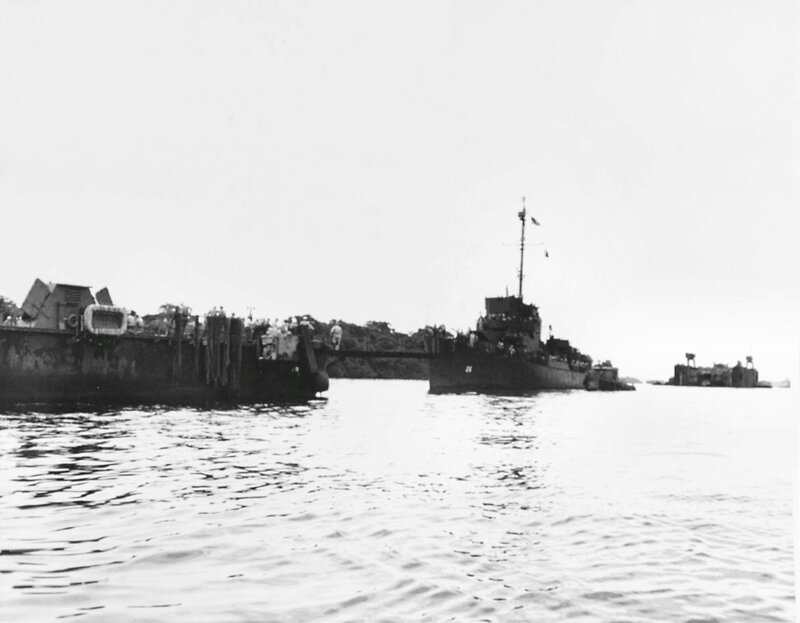 88k 10 May 1944: Espiritu Santo, The New Hebrides - USS Dempsey (DE 26) entering the floating drydock ARD-10 at a base in the Solomon Islands area. View the USS Dempsey (DE 26) DANFS history entry located on the Naval History and Heritage Command web site. View the official War History of USS Dempsey as submitted by the ship at war's end.